Certified as “Built for NetSuite” Folio3’s proprietary NetSuite-eBay Connector provides seamless integration between eBay merchant accounts and the NetSuite ERP. The result is an integrated solution that combines the proven back-office features of NetSuite with the powerful eCommerce features available on the eBay platform. Being fully automated, the NetSuite-eBay integration enables online merchants to focus on enhancing their sales and managing their fulfillment processes, saving them valuable time & effort that is typically lost in manually keeping their eBay and NetSuite accounts in sync. The NetSuite-eBay Connector runs entirely within your NetSuite account and allows you to manage the NetSuite-eBay integration from a UI implemented directly within NetSuite. 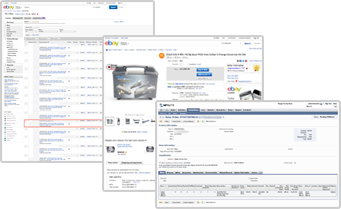 The following is a sample from our NetSuite-eBay integration portfolio, using the NetSuite-eBay Connector. 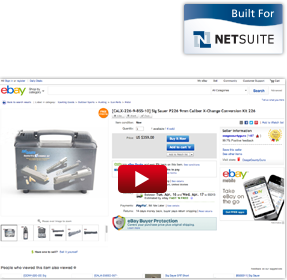 For more information on the NetSuite-eBay Connector (including cost and customization options) please look at the NetSuite-eBay Connector’s detail page. We also offer a specialized Connector for NetSuite-eBay Motors integration. To learn more about our other NetSuite solutions, please visit our NetSuite Development Services section.